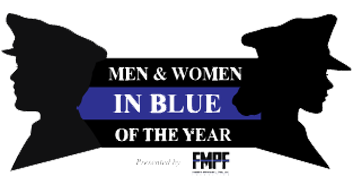 On Saturday, February 2, 2019, the Fort Myers Police Foundation will again be hosting the “Men and Women in Blue of the Year” event honoring the women and men of the Fort Myers Police Department. This is a special opportunity for you to join us in honoring and thanking more than 50 FMPD officers for their tireless work and efforts over the past year. An annual event, the ceremony will recognize those officers who have gone above and beyond the call of duty to protect the citizens of Fort Myers and surrounding areas. As they receive their awards, you will hear the details of how these men and women frequently put themselves in harm’s way to maintain the peace and security of our community and often save lives. In addition, the ceremony will also recognize and thank those officers who have served our community for many years and will now be starting the next phase of their lives. More than 50 officers will be honored during the event. The ceremony will be held at Colonial Country Club located at 9181 Independence Way in Fort Myers. Cocktails begin at 5:30 pm. The dinner and ceremony will follow at 6:30 pm. Tickets are $100 each with tables of eight available for $750. All funds raised by the Foundation go towards purchasing life-saving equipment for the FMPD. The Fort Myers Police Foundation is a 501(c)(3) nonprofit organization whose goal is to help build a stronger bond between the community and its local police department. Since its formation in 2014, the Police Foundation has raised more than $160,000 that has gone toward purchasing medical kits for patrol cars, ballistic shields, electronic ear protection for shooting ranges, a Meggitt FATS® L7 compact training simulator, a K-9 and more. Please plan on joining other local business and civic leaders for this event honoring the heroes of the Fort Myers Police Department.